If you are getting married in Sydney, you should consider yourself fortunate from the wedding photo point of view because Sydney is considered ‘photo rich’ by wedding photographers. A photo rich location is the one which provides a great mix of colors, angles, moods and textures. So, a good photographer having a good eye can create a variety of photos which look as if taken in difference locations. This is great if you don’t have much time for wedding photography at multiple locations. From Sydney CBD to the Eastern Suburbs, Western Suburbs, Northern Beaches and The Hills District, Sydney is full of photogenic locations. Therefore wedding photography in Sydney is a delightful experience for both – wedding couple and their photographer. 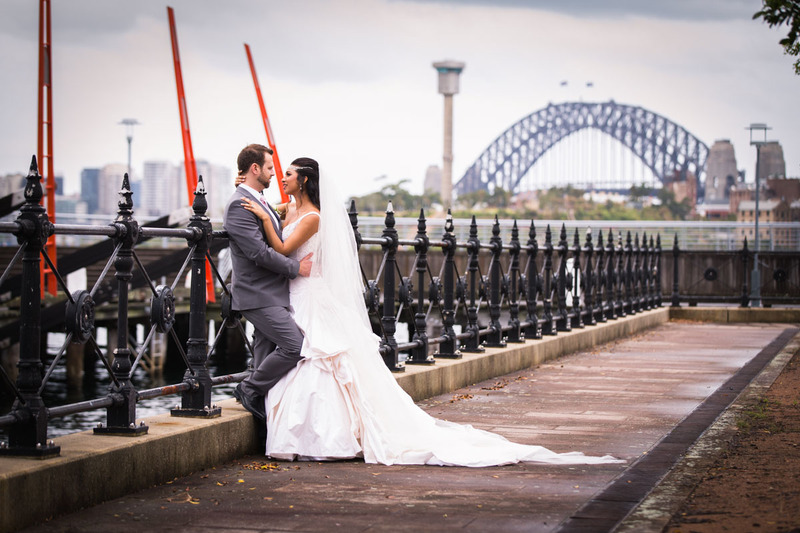 Here are 5 most beautiful locations in Sydney that are perfect for wedding photography. Argyle Street is full of interesting architecture from historic houses and pubs to secret lanes and hidden corners. Especially around The Rocks, you will get so many options that you would love to keep capturing photos here itself. The Royal Botanic Gardens are perfect for your ceremony as well as locations photos. This amazing garden has many parts in which you would like to capture photos, each with its extraordinary feel whether they are shaded areas or expansive lawns, fountains or ponds! Watsons Bay has a number of spectacular locations all within walking distances. Besides the natural beach setting, there are army forts, dramatic cliffs and a stunning view of Sydney Harbour. What’s more, at Camp Cove Beach, you can get fascinating sunset shots. When the weather is wet, you need not be disappointed, if your ceremony or reception is around Darling Harbour. The clean and modern architecture of the area provides fantastic angles and leading lines; plus, you get a chance to relax and ride the escalator for some minutes. Hyde Park is oldest public park in the country spread over 16 hectares with awesome greenery, pathways and decorative street lamps that will make your wedding photos definitely superb. Moreover, you can get a secluded corner somewhere in the park, even on a busy day. So, you won’t get photo bombs. All in all, you have plenty of photo opportunities in Sydney which you should not miss and take full benefit of this beautiful city, so that you can cherish your wedding photos for life.